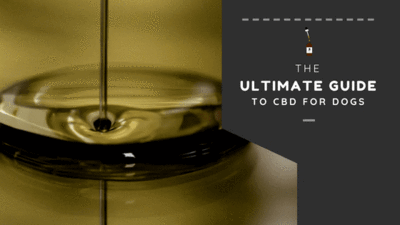 CBD has an amazing list of benefits that makes it so amazing, and pain relief is up there as one of the top reasons to use CBD oil for dogs. Dogs have pains that can be hard to find a treatment for, and CBD gives you an easily administered treatment method. CBD is used for many ailments associated with pain as well which can give you a tool knockout 2 problems in 1. Before we get into how CBD deals with dog pain let's look at how CBD oil for dogs works with the body. Dogs just like humans have a system in their bodies called the endocannabinoid system that attracts certain compounds. One of these compounds is cannabidiol or CBD which is caught by these receptors allowing it to travel through the nervous system to the brain and other parts of the body allowing it to work its magic wherever it may be needed. 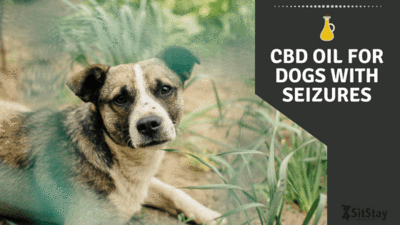 The great thing about CBD is that it is safe for dogs! CBD is derived from the hemp plant and is found in medical marijuana, however, when extracted it contains less than .03% of THC the compound that creates the psychoactive effects. This is what makes it safe because any more THC and it would be toxic to our furry friends. 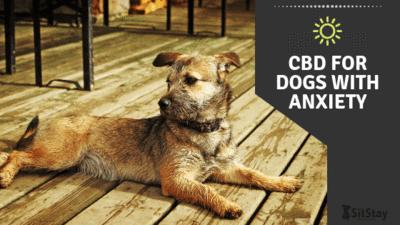 CBD can come in many forms for dogs from CBD oil tinctures to CBD dog treats. 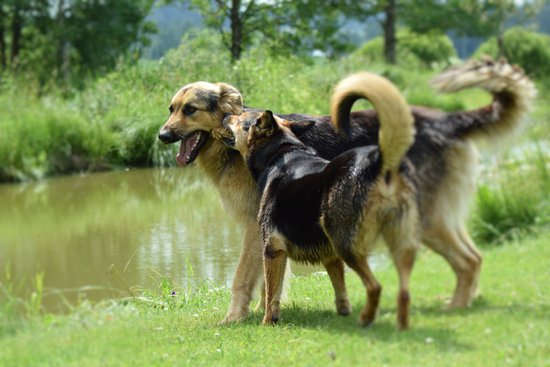 Some are easier to get your dog to take while others may take less time to interact with the body. 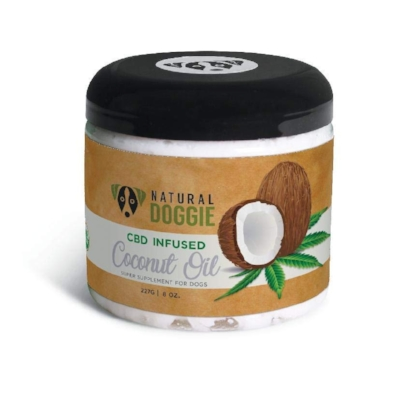 Our favorite product right now is Natural doggies CBD coconut oil for dogs. 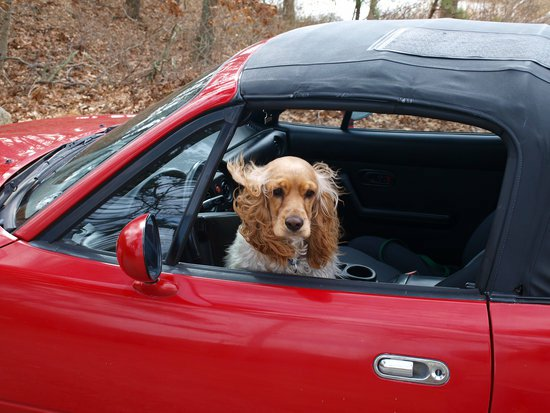 It is easy to use and has a quick acting agent to help your dogs. Now that you know a little about CBD oil for dogs let’s look at how it helps to deal with the pains that can come in their life. Many aspects of aging come with symptoms of pain, it is just how it goes and this can be hard for dogs who don't have the medical science behind their problems. 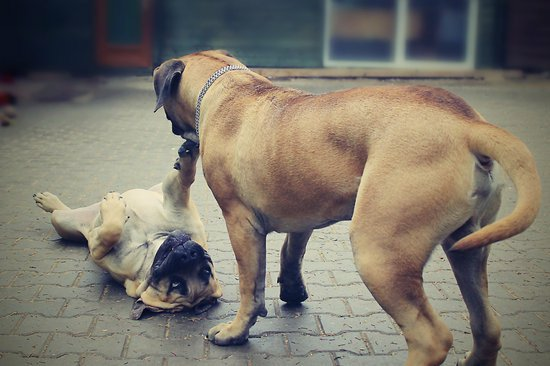 Luckily CBD has pain reducing properties that can benefit Fido no matter the situation. Pain comes in many forms and this can be complicated to pinpoint where and what you should be targeting on your treatments. Chronic, inflammatory, or other illness related pain are all capable of being reduced by the effects of CBD oil for dog pain. CBD itself is an anti-inflammatory compound that can help stop swelling and pain associated with things like arthritis, which is inflammation of joint cartilage. This means that any dog that has arthritis and struggles to get around may see an improvement if CBD is introduced to their life. CBD can also help chronic back, joint, and hip pains associated with overactivation and old age. This can be amazing for dogs that do agility competitions and are feeling pain. Or that old dog that can't get out of bed because of their back. Cancer in dogs is another problem that we see with age and this can be very scary to hear that your fur child may have a tumor. CBD can help during these times as many pains that are associated with cancer are inflammatory and that is a spot CBD can shine. There is also a correlation between CBD and the reduction of bad cancer cells and the increase of healthy cells. This means it can help reduce the spreading of tumors through the body. All of these can mean great things for the livelihood of dogs who suffer pain on a regular basis. 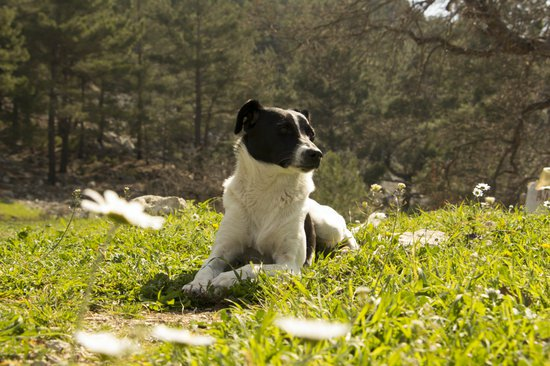 It can give them a better chance of having a quality life without the fear of pain associated with fun activities like playing fetch and going on a walk. CBD is truly amazing and has loads of benefits we didn't even cover in this article. It is a wise idea to get the conversation about CBD and your dog started today as it could mean a better tomorrow for them. Ask your vet if CBD is the right choice for your dog as they may be able to give you insight on other additional tips. I hope this has helped you see how CBD oil for dogs pain is an amazing option. If you enjoyed this article or you know someone who could use this information feel free to share and comment to keep the conversation going.